William, Gregory and Zoe hold our Soup Bowl and collection. 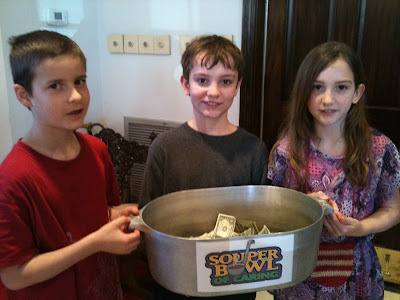 Today, the youth of St.Alban's collected $351 for the Refuge of Hope during our 2013 Souper Bowl of Caring fund drive. Congratulation to our young people and thank you all for your generosity!